Kambi Launches its New Product Alongside DraftKings! 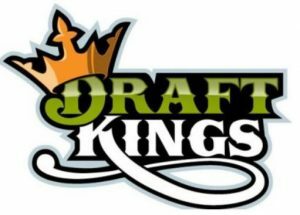 It’s official, DraftKings (DK) has opened the doors to its very own land-based sports-book at Resorts Casino in Atlantic City. Not to mention, Kambi also made its product debut alongside DK. So without a doubt, November 20th was a huge day for the sports betting market in New Jersey. With that said, we know you might be wondering who Kambi is? So without further delay, let’s reveal what Kambi brings to the table in AC. First, Kambi is a global leader that provides premium sports betting technology and services to the US and European markets. And their vision is to deliver unique and engaging sports betting products for its customers worldwide. With that said, let’s reveal the products they now offer through DK at Resorts Casino. On that note, the next time you visit the new sports-book at Resorts, make sure to visit one of the 12 sports betting kiosks available throughout the property. That’s right, Kambi is the supplier that gives you the freedom to place your bet from anywhere within the facility. And this is indeed a unique and innovative technology that will reshape the sports betting landscape in the months to come. Sources tell us that, Kambi already has at least 100 more kiosks planned for the U.S market. But, we are not sure when or where they’ll launch these additional kiosks. Although the company has several partnerships in NJ and PA. On that note, we expect Kambi to dominate many more headlines in the weeks, months, and years to come! In conclusion, the sports betting market is now taking off on the East Coast with its wings fully expanded. Not to mention, sports betting is going to soar much higher than anybody ever expected it. In fact, its predicted that sports betting in NJ alone would become much bigger than the NV market by 2020. And that’s mostly due to innovative and creative companies like Kambi expanding their reach into the new era of sports betting in the US.